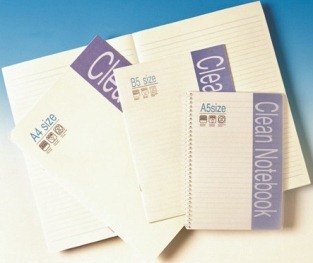 Our range of paper products are specifically designed for writing and recording purposes in the Cleanroom environment. Through our polymerization process, the fibre and lint are tightly bounded into each sheet, reducing particulation. Color: Light blue with lines. Application: Suitable for Cleanroom, and Static Sensitive Area.